The following list details applications for iOS and Android devices that are meant to enhance community living, whether it be by communication aids, social networks, or other resources useful for those that may be benefited by the use of assistive technology in the community. Next Door – free, private social network for you, your neighbors and your community. It’s the easiest way to connect and talk with your neighbors about the things that matter in your neighborhood. Freecycle – makes it easy for people to give away their unwanted but reusable items to people in their local community who can use them. People can post items to give away or request items from others in their local community. Olio – connect with your neighbours and local shops so that surplus food, and other household items can be shared, not thrown away. Everything on OLIO is available for free or for donation. IOBY – ioby mobilizes neighbors who have good ideas to become powerful citizen leaders who plan, fund and make positive change in their own neighborhoods. Proloquo2Go – Proloquo2Go is an AAC (Augmentative and Alternative Communication) app used by people with autism, Down syndrome, cerebral palsy and other diagnoses. It is available in English, Spanish, French, and Dutch for iPad, iPhone, iPod touch and Apple Watch. Cough Drop – helps those with complex communication needs make their voices heard. dial 2-1-1 on your phone and be connected with an information and referral specialist that will help you find the services you need. 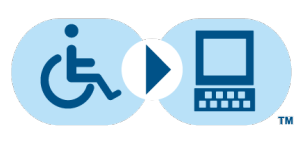 For other assistive technology needs at home and your community, please visit al.at4all.com to view our AT loan library, which is completely free for residents of Alabama.